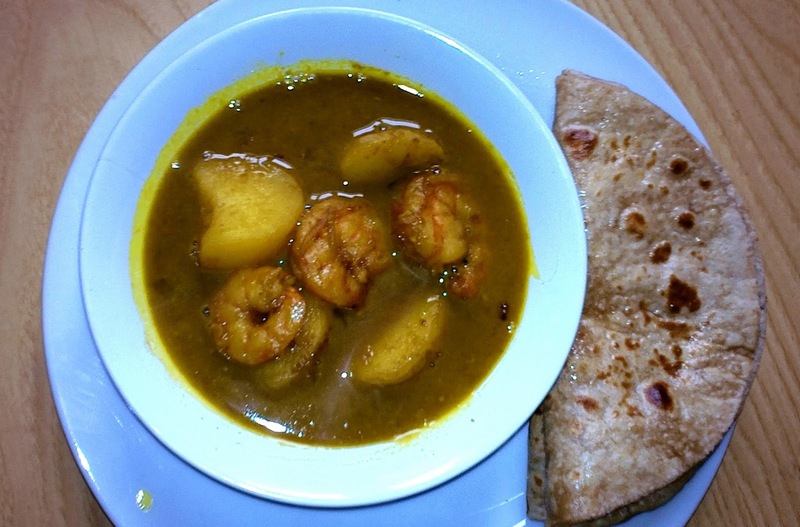 In my last post i told you about how to prepare prawn chilly, in this post we will see how to prepare Indian prawn curry. This is a spicy curry yet not hot. This can be well served along with rice, nan or chapati or any other flat bread. Add all the garam masala. saute onion until golden brown. Prepare a paste with tomato puree+ spice mix+ Salt. Add this paste and fry until oil gets separated from the fried masala. Cover the pan and let the dish simmer for 5 minutes at low heat. Turn off the heat and sprinkle coriander leaves all over. Serve hot with rice or chapati.... enjoy!!! !